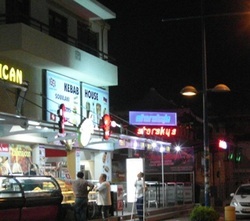 Kebab House is new for 2013 and is located right in the very centre of Ayia Napa next to Starskys. It serves kebabs and gyros and is open at night times through the summer. KFC is open during the summer months in the daytimes and evenings. It is located on Makarios Avenue just a few minutes from the main square of Ayia Napa. 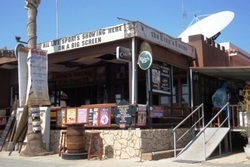 Kings Sword pub is on the main road in the Macronissos area, not far from the Waterpark and the Ayia Thekla area. It serves British style pub grub and international dishes and is open all year round. 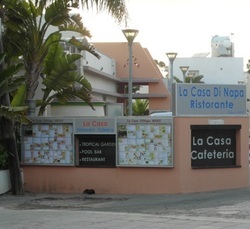 La Casi Di Napa serves international dishes including Italianm pizza and pasta. It is located not far from the centre of Ayia Napa, just a couple of minutes from the start of the main strip. 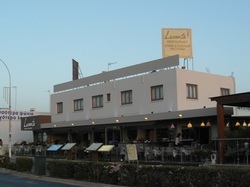 Levanta restaurant is new for 2013 and is located on Nissi Avenue, close to the very centre of Ayia Napa. It's decor is modern and sophisticated and Levanta is open for lunch and dinner and has an extensive menu of Cypriot, international and seafood dishes. Limanaki tavern is part of the Limanaki beach Hotel and opens out right on to the harbour. It serves a selection of Cypriot and international dishes and is open all throughout the day and in the evenings all year round. Limelight Taverna is a very popular grill restaurant located just a few minutes from the main square of Ayia Napa. It is open during the summer months for dinner service. Limnara restaurant is located on the Cape Greco road just a couple of miles East of Ayia Napa towards Cape Greco. 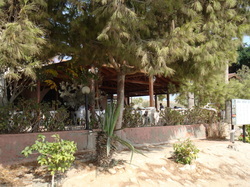 It serves fresh fish and traditional Cypriot Meze and is open in the summer months for lunch and dinner. 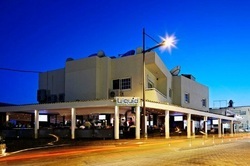 Liquid Cafe Bar is a modern style restaurant-bar which is open all year round for breakfast lunch and dinner. It's extensive menu covers snacks, platters and main meals in a variety of cuisines. It is popular with local people, especially during the winter months and also shows sporting events. 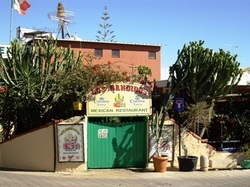 Los Bandidos is Ayia Napa's most popular Mexican restaurant is is busy every night. 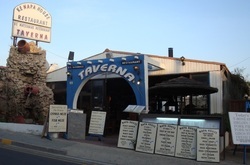 It is located in the centre of Ayia Napa, just off the square and is open for dinner during the summer months. Booking is recommended to guarantee a table. Maistrali restaurant overlooks the beach at Grecian bay and is open for lunch and dinner throughout the summer months. It serves a choice of traditional Cypriot and international meals as well as snacks. Mangas stand out for it's Greek style blue and white decor and is located on Nissi Avenue in the Nissi Bay area. It serves Cypriot and international dishes and is open all year round for lunch and dinner. 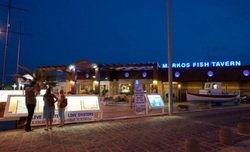 Markos Fish taverna is a large restaurant at Ayia Napa harbour with views of the Mediterranean sea. It has a wide choice of dishes including seafood and traditional Cypriot meals and also has a children s play area. Markos is open for lunch and dinner during the summer and weekend lunches during the winter months. 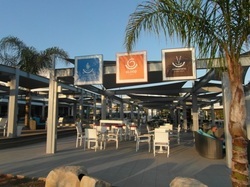 Marquis de Napa is located on the Grecian bay road and serves a selection of international dishes. It is open during the summer months for dinner service. Masa Rufa takeaway is open from early evening until early morning and serves fast food and takeaway through the summer months. 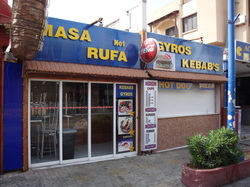 It is located in the centre of Ayia Napa opposite Castle Club. Matsoukas serves traditional Cypriot dishes and Meze. It is open all year round and is just a couple of minutes walk from the top of the main square of Ayia Napa.